We are documenting the things we are doing and our thought processes in creating our Maker Studio for students. View the Google Doc we are using to plan stations, obtain equipment and supplies, and create our Maker Studio. Direct questions about this to Shelly Fryer (@sfryer) or Wesley Fryer (@wfryer). On December 22, 2015, we started with an empty classroom for our new Maker Studio. We recorded a 9.5 minute video on December 22, 2015, documenting our thinking and planning for our new Maker Studio. 23 photos of the room and "where we started" with our Maker Studio are also available. This was our Maker Studio on December 31st, with five stations ready for my students when they returned to class January 5th. We recorded another video on December 31st about these different stations. 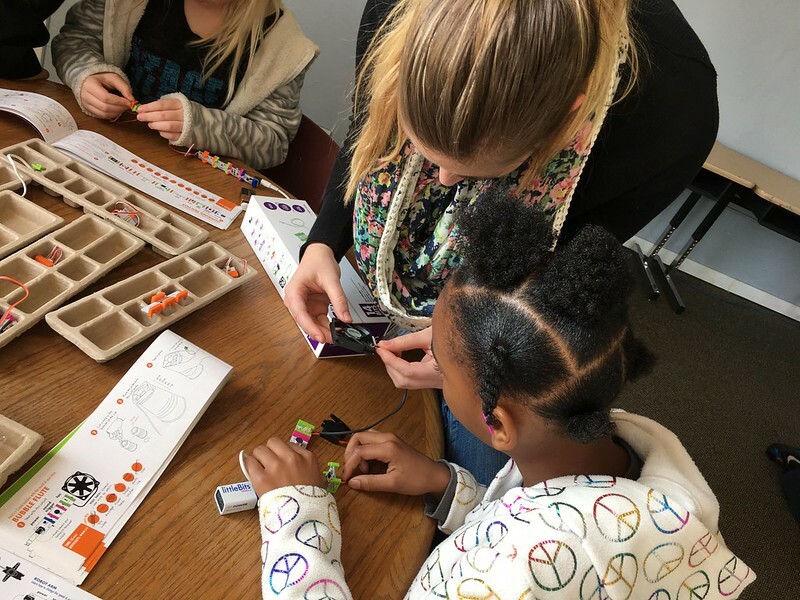 Check out this post about how things went on our first day of Maker Studio, including a video introduction to circuits and electricity. My students created this video in the Green Screen station to start sharing their learning in Maker Studio. Some photos of our first day in Maker Studio are also available in a Flickr album.